The glorious discoveries of the Renaissance started with one wealthy Italian family. The House of Medici, rulers of Florence, invested considerable sums to support arts, literature, science and beauty, helping to enlighten humanity from the 15th century onward. But this fine Florentine family didn’t fund just anything. The Medicis got value for money, helping only the most serious and ambitious artists and thinkers to expand human knowledge. The Medici Amethyst Earrings is our celebration of the trendsetting family. 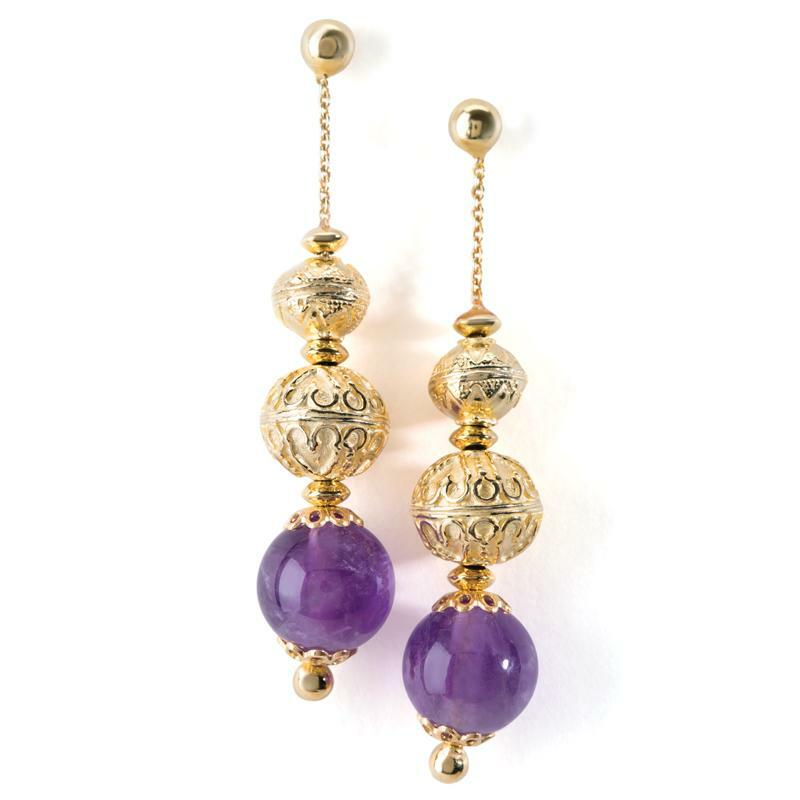 It’s an Italian Renaissance-style, gold-finished, sterling silver earrings featuring regal, proud, purple amethyst gemstones, weighing a generous 14 total carat weight. This opulent style of earrings is what famous families like the Medicis wore during those golden years of advancing human knowledge, when amethyst was among the world’s highest priced and most precious gemstones. Like the Medicis we want value for the money, which is why we sought out Mario Piccini to create a Medici-worthy collection for our customers. Mario’s creations tell the story of the beautiful Renaissance village of Anghiari where Mario and his family live and also the birthplace of remarkable artists such as Piero della Francesca and Michelangelo. But this isn’t just a Renaissance of luxury looks, it’s also a Renaissance of value. A smart investment in this once unattainable gemstone. If you’re ready to enlighten her look without lightening your wallet too much, the Medici Earrings offers classic beauty at a competitive price.